Pfäffikon / Switzerland, 01.02.2007. 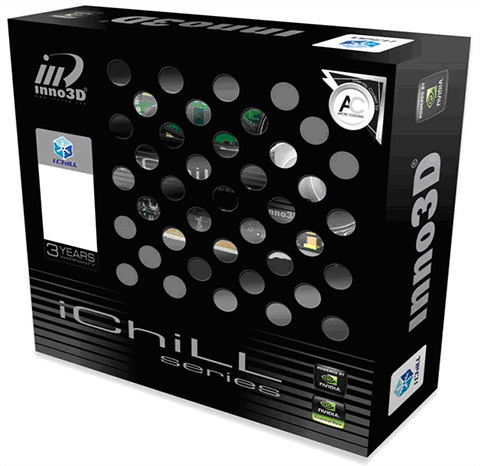 The Swiss cooling solution provider ARCTIC COOLING hasjoined forces with the leading nVIDIA partner – Inno3D to provide cooling solution for their new “i-ChiLL” series. 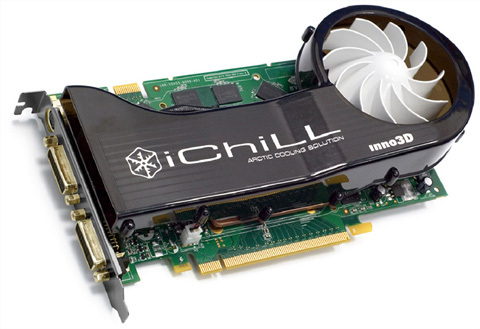 “i-ChiLL” has launched their first overclocked range graphic card featuring with ARCTIC COOLING NV Silencer 6. Thanks to the impeccable and reliable cooling performance, the NV Silencer 6 enables the “i-ChiLL” graphic card to be pre-overclocked in an extreme silent way. “i-ChiLL” brings the new unparalleled gaming experience to all serious gamers. Under a full load test, it has been proven that the NV Silencer 6 can perform at least 20ºC lower than generic cooler. Features with a large fan and optimized fan blades, the NV Silencer 6 generates the lowest noise level despite a high air flow. Moreover, the NV Silencer 6 provides high fins surface area and thick copper base to achieve the best cooling performance. With the unique ceramic bearing design, NV Silencer 6 brings fan motor with an outstanding service life. With the aid of NV Silencer 6, the “i-ChiLL” provides outstanding cooling option that meets gaming needs. Built ready for Windows Vista, gaming with “i-ChiLL” will never compromise.